When it comes to budget decorating, do it yourself wall art is the way to go. I don’t really see myself as an artist, maybe more of a crafty “ish” person. This DIY wall art I came up with was fun and easy and if you decide to take it on, it’s VERY inexpensive. It also makes a great gift! 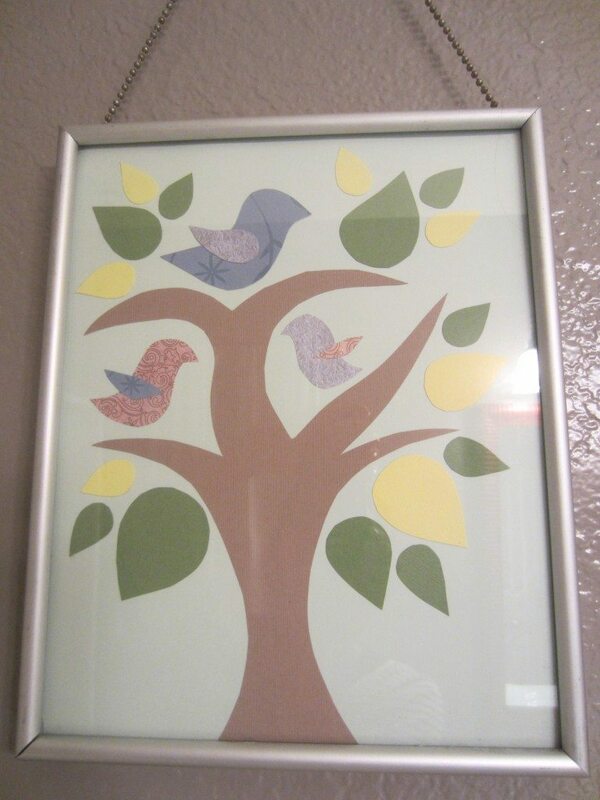 I love the silhouette of birds and trees because they are beautiful and modern, so I decided to make these do it yourself art pieces for my daughter’s bathroom. I wanted them to be whimsical and feminine. 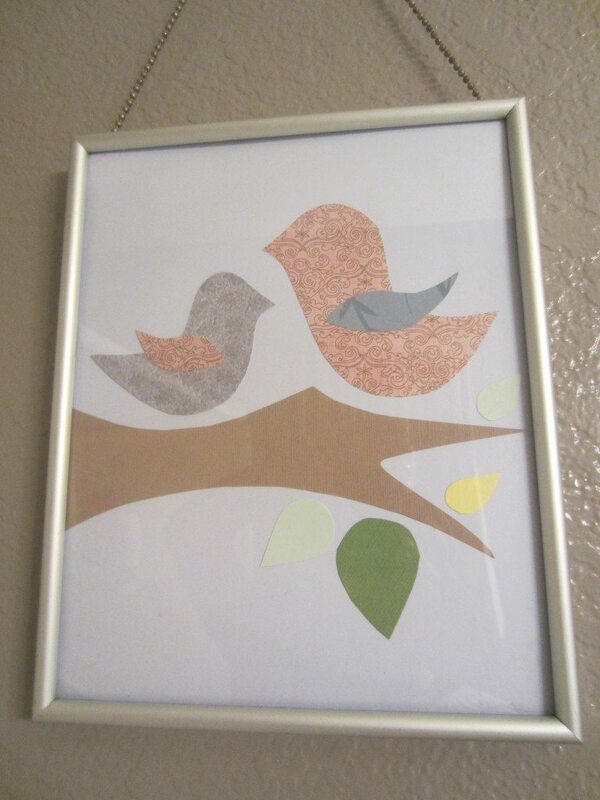 I already had the frames and the colored scrapbook paper so this project didn’t cost me a dime! By the way, a great source for inexpensive cute frames at IKEA. You can purchase traditional to modern frames starting at 99 cents! The first thing I did was look online for inspiration, because let’s face it, I’m not THAT creative. Google images is the way to go. I ended up googling “retro bird art” to find my inspiration. I copied and altered a few silhouettes of birds and trees and first cut them out of white card stock. I wanted to arrange them first and make sure I had the right scale to fit the frames. I had to cut and trim them a few times to get it perfect. 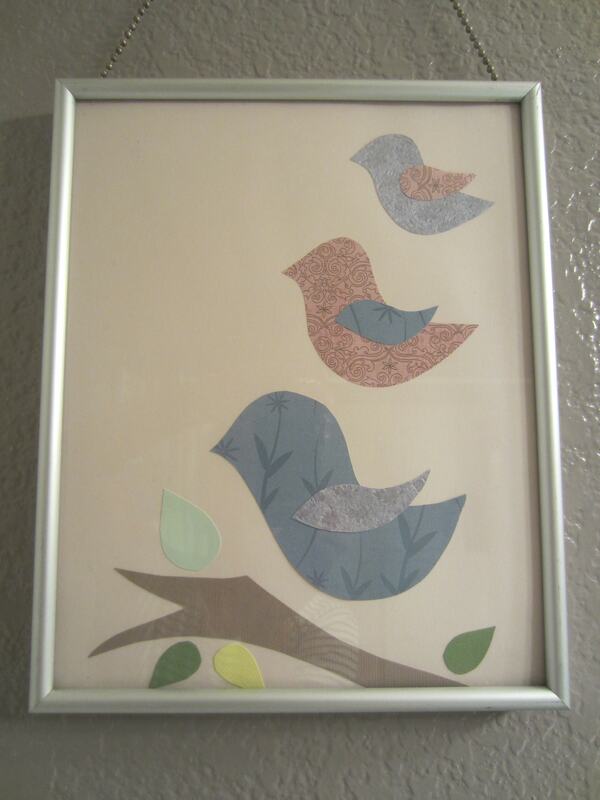 Next, I traced and cut out the final images out of decorative scrapbook paper. I used several contrasting colors and patterns to match my daughter’s bathroom and arranged them to my liking. Double sided tape (one of my best friends) worked well to attach each image. There you have it! Instant budget DIY wall art!